charmcityartsmaven: AMERICANA SINGER-SONGWRITER TO APPEAR @ AN DIE MUSIK LIVE! AMERICANA SINGER-SONGWRITER TO APPEAR @ AN DIE MUSIK LIVE! The homely quality of Brine's voice is as timeless as the rough-edged voices of other impossible-to-categorize artists such as John Prine or John Hiatt. It touches the soul through the impact of the thought which went into the lyrics, direct and to-the-point. Brine was making folk music in New England in the 60s, a music which itself had fragmented from old-time mountain music. These days they call it all Americana. Mark Brine is possessed of the genius required to speak for the ordinary everyman. His music speaks both to and for anyone who yearns for love, who hurts for strangers, and who wishes on stars. Mark Brine may not be a well-known name in the Nashville circuits, and it's pretty unlikely anyone will ever hear his music on corporate "country" radio stations. That's okay, though. People who are looking for the over-produced commercial country aren't going to be drawn to the highly eccentric sound of Mark Brine. His music is pure, rootsy and brimming with an emotion that would have made him seem right at home with the Carter Family and Jimmie Rodgers; yet his modern approach to that old sound tells us only how well it ages. In fact, the homely quality of Brine's voice is as timeless as the rough-edged voices of other impossible-to-categorize artists such as John Prine or John Hiatt. It touches the soul through the impact of the thought which went into the lyrics, direct and to-the-point. Brine was making folk music in New England in the 60s, a music which itself had fragmented from old-time mountain music. These days they call it all Americana. In the 70s, he moved to Nashville to take in some traditional country of the sort he already loved, but unfortunately, he got there too late. By that time the commercialization of "Golden Age Nashville" Countrypolitan was demanding a different sound, and Brine was already "too country" in a time when that phrase hadn't even been thought of. He wasn't out to be an "outlaw," so he wasn't one of the outlaws; nor was he a California honky-tonker, so Bakersfield wasn't his destination, and neither of those neo-traditionalist movements attracted him. 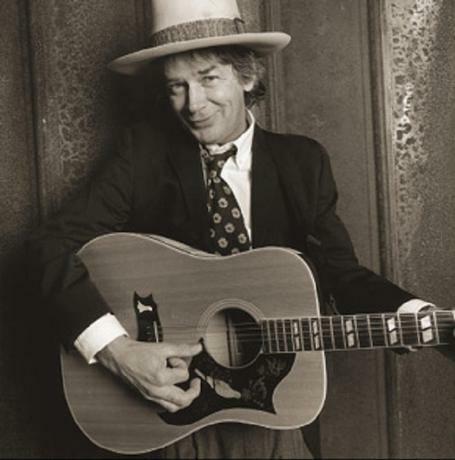 Instead, he continued forward with his own unique yet thoroughly traditional sound, and probably helped shape the Americana genre by releasing "Return to Americana" in 1985, a time when today's current Americana artists were still being called "country" or "blues" artists (if, indeed, they were recording yet!). It was that keeping true to his sound which brought Brine to the attention of Hank Snow, who was so impressed with the 1992 single, "New Blue Yodel," he invited Mark to appear on the Grand Old Opry. That old-time style of Opry, when Acuff and Minnie Pearl were still around, was exactly where Mark Brine belonged. Unfortunately, the Opry was going to change as much as country music itself in very short order, and what should have led to some much-deserved recognition simply vanished under the enforced pop sounds and slick productions that characterized "country" music throughout the nineties. But none of that has kept Brine from recording the music he does best. Consistently writing and performing old-time country with his timeless folksy sound.